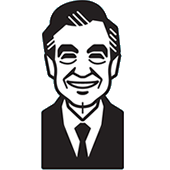 Upon his arrival, Mister Rogers takes out the vacuum and sweeps the floor immediately after changing into his sweater and sneakers. He talks about the loud noise that a vacuum makes and assures viewers that a person can never be sucked up into a sweeper. Using a cassette player he brought with him, Mister Rogers plays a recording of wolves howling. Chuck Aber stops by with Kent Weber and Mr. Weber's wolves -- Little Dancing Bear and Shaman. Mr. Weber explains that wolves are very shy creatures but wild animals are not good pets. In the Neighborhood of Make-Believe, Prince Tuesday is telling Lady Aberlin about his rag doll, Tome, coming to life. Neighbor Aber arrives wearing a wolf costume and announces that it is Wolf Week in Westwood. He asks Prince Tuesday if he would like to wear a smaller wolf costume but Tuesday refuses fearing that if he does, he might actually turn into a wolf. Lady Aberlin explains to Neighbor Aber about Tuesday's rag doll as Tome comes to life once again. Tome dances with Neighbor Aber to Look and Listen before Aber and Lady Aberlin begin looking for someone to wear the smaller wolf costume. At the tree, Henrietta Pussycat is vacuuming and is frightened when she sees Neighbor Aber in the wolf costume. She is too busy to be the smaller wolf and mentions that X is not at home: "Meow off meow fly somewhere." Ana Platypus is doing her homework and also passes on the offer to wear the little wolf costume. Daniel agrees to wear the costume and is excited to show it off to Prince Tuesday and Tome. At the castle, King Friday greets them all and invites them to the "Wonderful Watermelon Room" (the W Room) where Tuesday and Tome are waiting. Back at the house, Mister Rogers uses a towel to pretend that he is a wolf and mentions that he also uses a towel to play peek-a-boo with his grandson, Alexander. Mister Rogers' son Jim arrives with Alexander and they all sit together at the piano before looking at the Trolley.